Amazing opportunity! Super Cute Cape Cod in Amissville, just outside the Town of Warrenton. Sitting on a beautiful 3 acre lot. With 3 bedrooms and 2.5 baths. The master bedroom with bath is on the main level. Huge screened-in porch+deck off of the kitchen, perfect for summer entertaining or just relaxing. 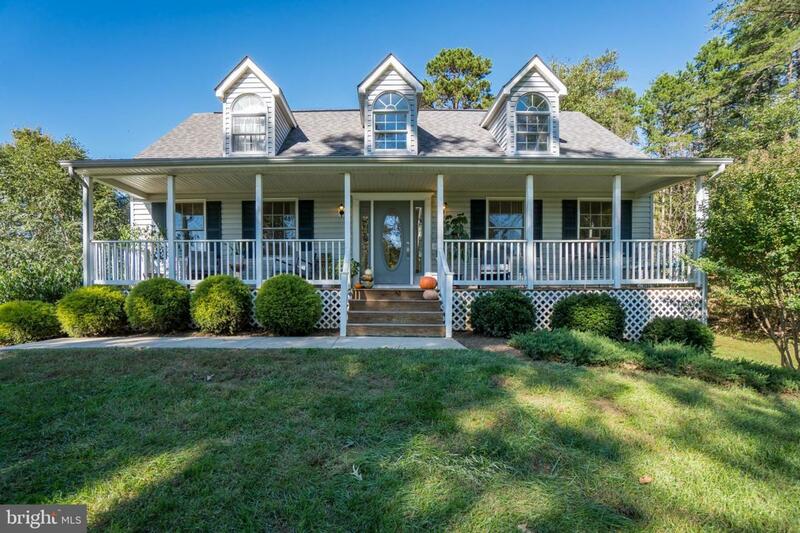 This home has hardwood floors, tons of natural light, and vaulted ceilings! Also featuring a large fenced in back yard and 2 sheds-plenty of storage. The basement is unfinished with tons of potential as its a walk out level + has a wood stove that can heat the entire home! Save money on utility bills! Open this Sunday 1-3pm! High Speed Internet Is Available!